Christopher Nolan’s desire to make the film Dunkirk as realistic as possible included watches, and in particular a pilot’s watch worn by Tom Hardy who plays a Spitfire pilot. 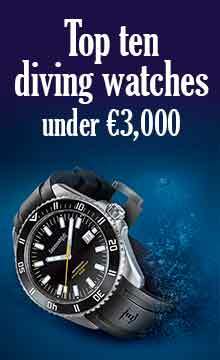 Omega have issued a press release in which they describe three watches supplied by the company to Britain’s Ministry of Defence. 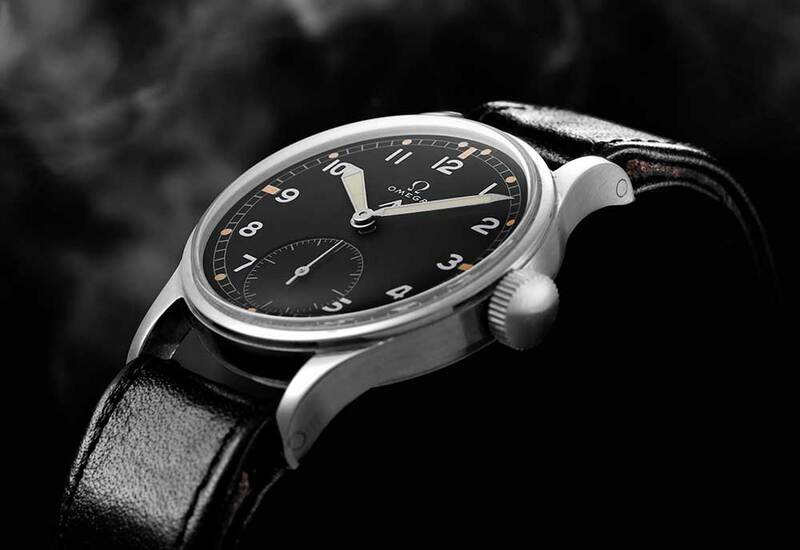 Omega had already supplied watches to the armed forces in World War I, including chronographs with telemeter scales that enabled officers to measure the distance of a gun position from the time difference between the muzzle flash and the sound of the shot. 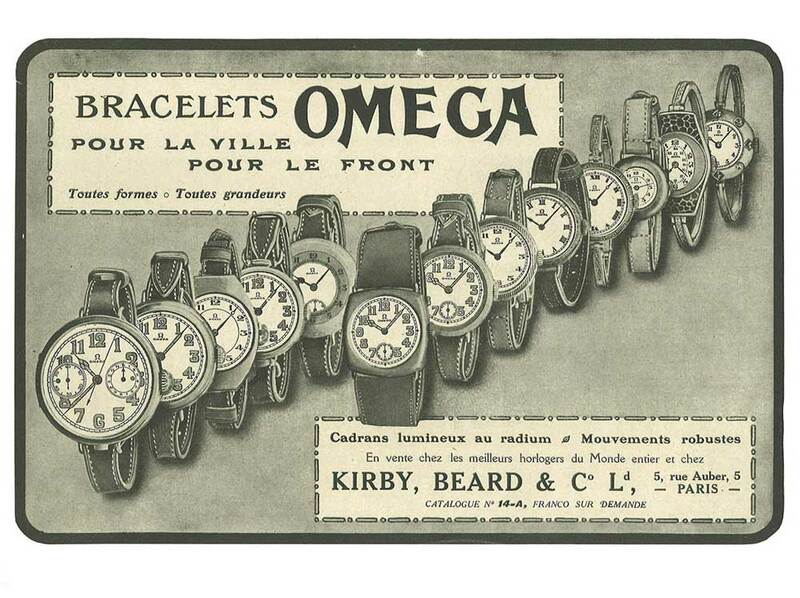 In the Second World War Omega supplied over 110,000 watches to the Ministry of Defence, principally for the Royal Air Force, representing over half of all the watches supplied to the UK by Switzerland. It’s curious that Omega have never (as far as I know) communicated this before in recent years, and that it has never made anything like the watches it supplied. It’s taken a film to make this information widely available. 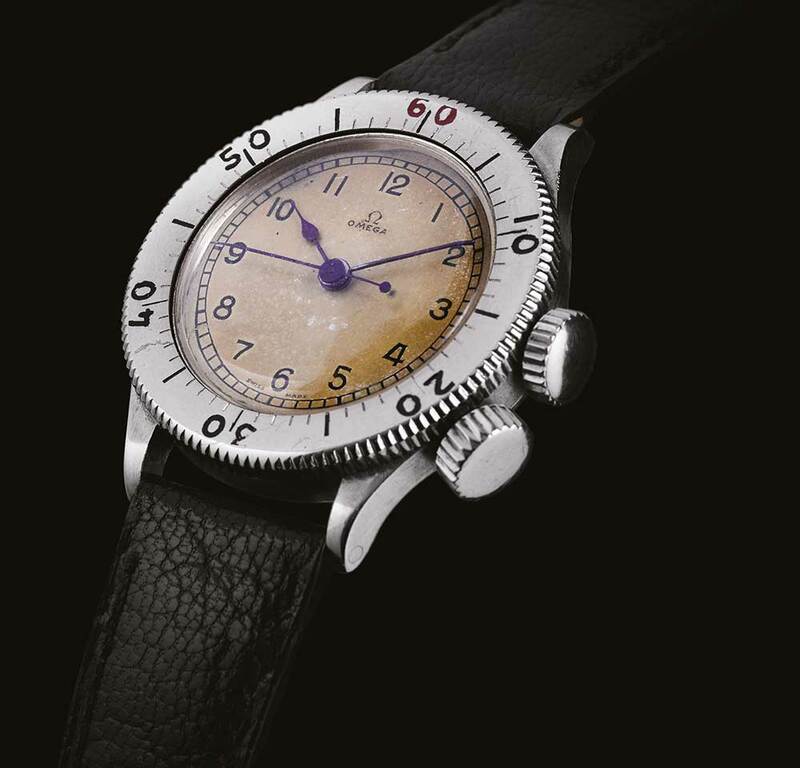 Most of Omega’s watches supplied to the RAF were the CK2129, a pilot’s watch with a rotating bezel. It’s a watch made to be as legible as possible, with a rotating bezel that enables intervals to be timed, useful, for example, for timing the legs of a zig-zag course. The second crown locks the bezel so that there is no risk of it being accidentally moved. This sort of bezel, with minute markings all the way around, transforms a basic time-only watch into a rudimentary chronograph, and I’m always surprised that this format isn’t used more by watch brands today. This pilot’s watch looks very different from the type generally associated with the genre, perhaps not super-attractive , but it would need just a few variations in size and proportions to make it a contemporary proposition. 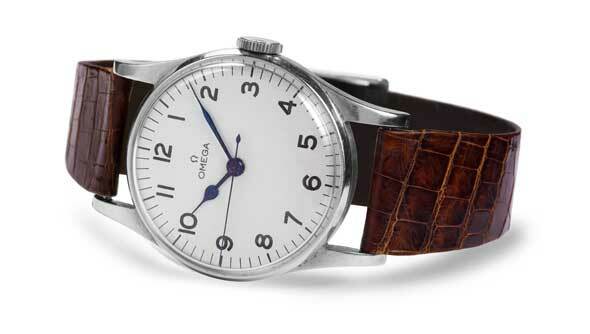 The UK/CK2292 is remarkably modern in its appearance, with narrow bezel and beautifully-proportioned dial. The 30mm movement inside had a degree of magnetic resistance provided by the alloy used for the balance spring. This is a stunning watch. The CK2444 was introduced towards the end of the Second World War, and it is radically different in design to the CK2292, with its black dial, a subdial for seconds at 6 o’clock, and the luminescent paint on hands and numerals (presumably this would have been radioactive radium paint). 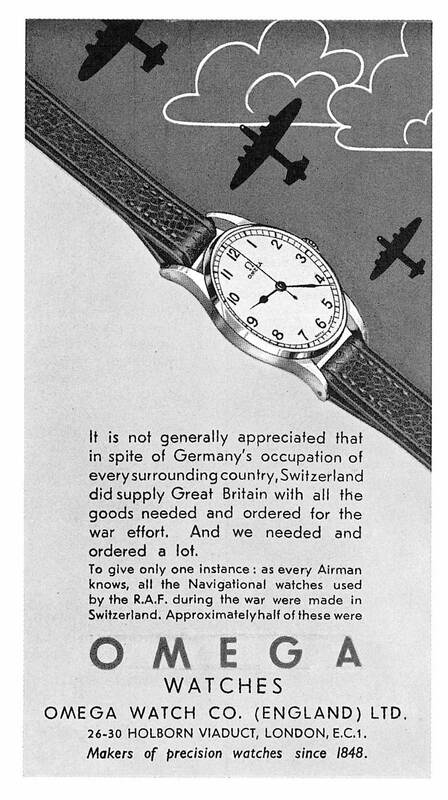 The watch had a good water resistance, and the Ministry of Defence requested that “w.w.w.” be engraved on the caseback, Waterproof Wrist Watch. 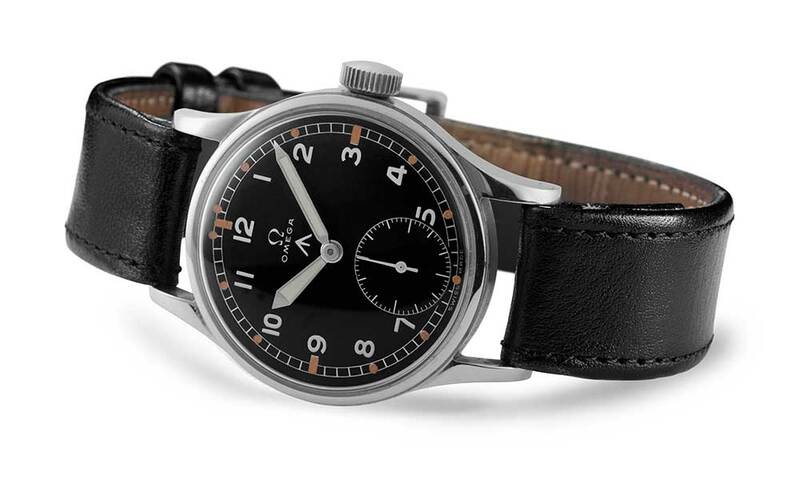 The emblem below the Omega logo on the dial is the so-called “broad arrow” that marked the watch as MoD property.